I am old enough to remember computers that were not octet oriented. E.g. the first that I used was an ICL 4120. It had 24 bit words which were, when necessary, divided into four 6-bit characters. There were operations to support extracting the 6 bit characters from the words. There were no corresponding operations to extract three 8 bit sub-units. I am excluding computers which can address memory in octets even if their word size is larger e.g. 16, 32, 64, etc. To narrow down the question and exclude specialized chips, I will require that the computer be capable of some level of text I/O to a human, more than just a limited set of fixed messages. Do any remain in production? If not which was the last? Two interpretations of last are interesting: the last to be launched and the last to remain on sale (as new). I am not asking for the last to be used as that is probably an impossible question. In the early 1990's CDC sold a line of Cyber 180 mainframes. These machines were descendants of the CDC 6600 and supported that machine's 60-bit word size and 6-bit characters. Notably, one of the innovations of the 180 over the 170 is that the 180 added support for 64-bit words and 8-bit characters, and could run software written for both modes simultaneously. So this is probably towards the tail end of sub-8-bit character oriented computing, at least at commercial data processing scale. Groupe Bull released the last of their 36-bit line in 2004, the DPS-9000/TA300; it was subsequently superseded by Itanium systems running an emulator called V9000. Such a question is a bit difficult, or rather impossible, to answer. While it is true that most mainstream computers today use units of 8 bits for bytes and and, at least Latin, characters, there always have been and still are exceptions. So, the answer to your "the last one" question probably is "there is none". 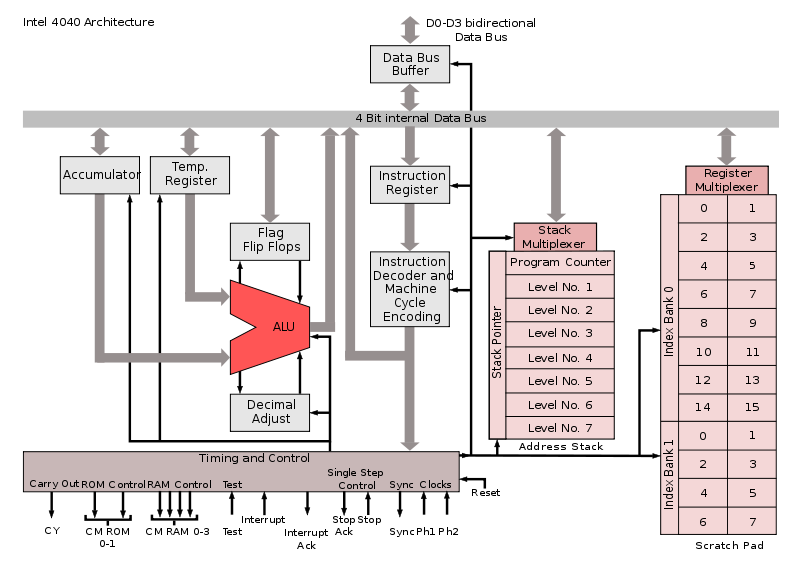 There are a number of widespread embedded MCUs with Harvard architecture that use 12-, 14- (PIC) or 16-bit wide (AVR) program memory and disallow 8-bit access to this memory. A "byte" in program memory for those MCUs thus has the above width. It is disputable whether systems based on either of these MCUs/DSPs should be considered "computers", but in my book they have to. In a less strict sense, even relatively modern CPUs like MIPS could be considered to use, in this specific case, 32-bit "bytes". While the MIPS architecture has the concept of "8-bit bytes" in internal registers, MIPS CPUs technically cannot do less than 32-bit data transfers from and to memory. A similar restriction applies to the address registers in the Motorola 68k, and even your trusty PC's FPU will not work with anything that's 8-bit only. What seems to have evolved as a kind of standard, though, is that register and data bus width on most of today's CPUs typically is a multiple of eight. The Univac 1100/2200 series used a 36-bit word. Many models had functions to work with a word as 4 9-bit "bytes" - using the term byte but fitting your definition of a non-byte computer based on not using 8-bit bytes. I had a few courses on an 1100/80 at the University of Maryland in the early 80s. The 2200 series appears to have carried on the 36-bit architecture, which in theory means up to at least 1997 according to the Wikipedia article. But the ClearPath series, while compatible with the 1100/2200, also included Xeon which would, by definition, mean it included plenty of 8-bit byte oriented instructions. The PDP-8 and its derivatives were 12-bit machines using (at least sometimes) 6-bit characters. While the last actual PDP-8 ceased production in 1980, by that time other systems existed that used microprocessors based on the architecture, and they continued to be produced for many years (the DECmate word processing system, for example, was produced until 1990). Also, as many PDP-8s found their way into industrial control systems and other applications that change infrequently, they have been very long-lived. It's not clear to me whether any are still in actual production use today, but certainly they were in use relatively recently, and this site suggests they were definitely in use as recently as 2000. There are plenty of chips around today that don't use 8-bit bytes. For example, some architectures of the Kalimba DSP used in CSR/Qualcomm chips use 24-bit words and 24-bit bytes. It is an important distinction that a 'byte' is not 8 bits but at least 8 bits, and is determined by the minimum addressable unit of a processor. That's because there are operators in 'C' that specifically return the answer in bytes, not octets (sizeof being the most obvious). The Intel Intellec MCS 4/40 Microcomputer Development System was based on a 4040 processor, had text I/O based on a TTY interface, and PROM program memory. Note that the program memory was 8-bit, but the data RAM was only 4 bit, as were the registers and ALU. Intel referred to both addressable the 4-bit and 8-bit memories as bytes. P.S. Other 4-bit processors are still available for purchase today, e.g. Renesas 4508 group. 80s DRAM chips: one per bit of data bus width? Can a 16K computer be upgraded to 64K? What kind of SIMMs can 286 PCs use? How does memory addressing/mapping work in 8-bit systems?